I am usually pro air-con but there are some foods that just taste better when eaten out in bustling coffeeshop settings(even when clad in office wear). Just to name a few, BBQ stingray, satay and BAK KUT TEH! 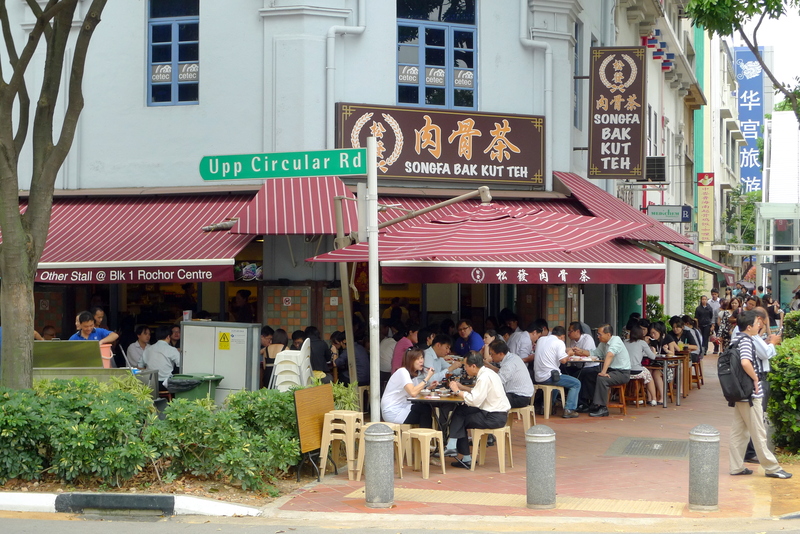 Songfa Bak Kut Teh is one of my more recent discoveries and I have come to realise it is actually quite famous and especially popular among the working crowd around the Clarke Quay area. 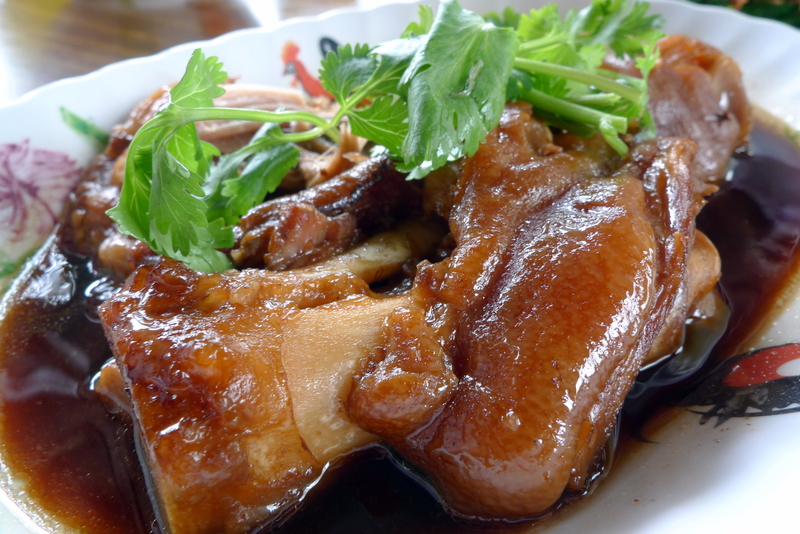 There are 2 distinct forms of Bak Kut Teh, the clear peppery ones and the black herbal ones. Songfa falls under the former category which coincidentally is also my preferred type. 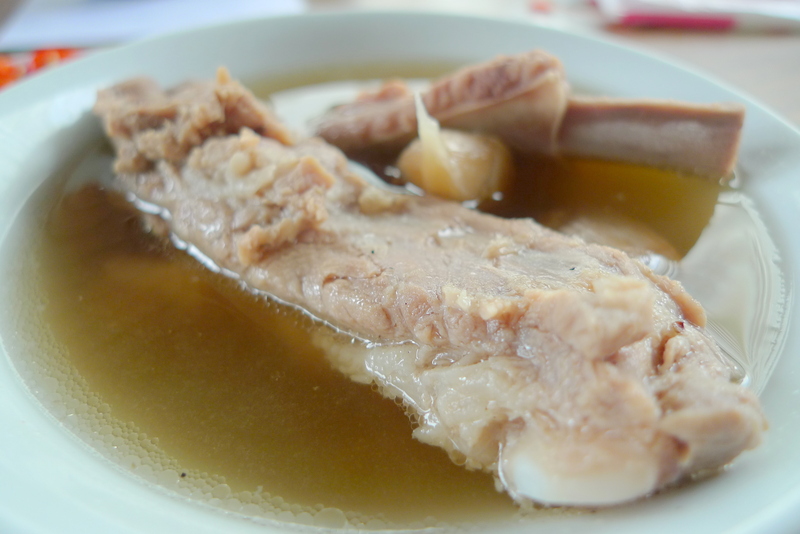 Bak Kut Teh($5.50/small) came as a trio of fall-off-the-bone tender ribs with refillable soup. The pepperiness of the soup was just to my liking, not intense enough to be choking but still enough to give me a kick. Good stuff. Even in the absence of the Bak Kut Teh, I’d have to admit that the Braised Pig Trotters($5.50/small) is reason enough to return. 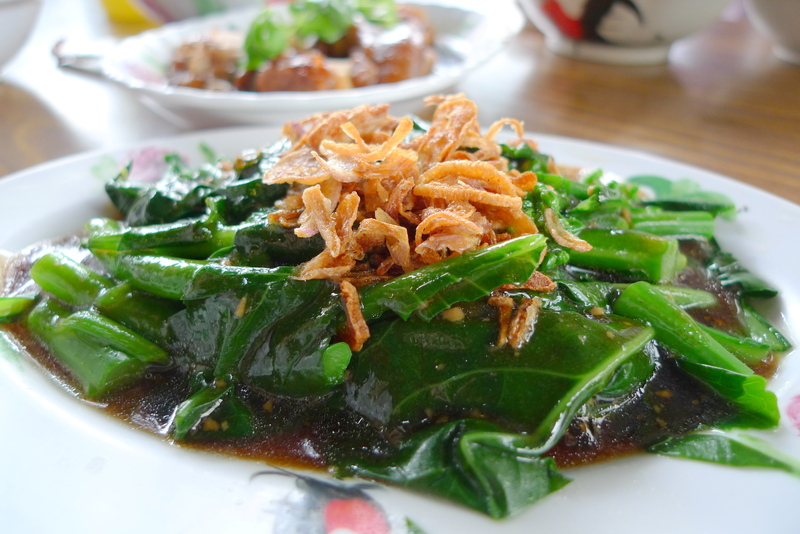 Of course, to achieve guilt-free status from such a porky lunch, we also ordered a Oyster Sauce Kai Lan($3/small) to share. If you are indeed a Bak Kut Teh lover, you have to come down personally to try this and if you are not, still come down to try it and you will instantly transform into one! Categories : All YumYums in my TumTum, Budget, Chinese, Clarke Quay, Location of YumYum, Yummy!